Smile Arts Dental Studio was opened by my very old friend Edwin (since our Boy Scout days with Gan Eng Seng Dragon Scouts) & his 2 other partners, Jeremy and Kenny. 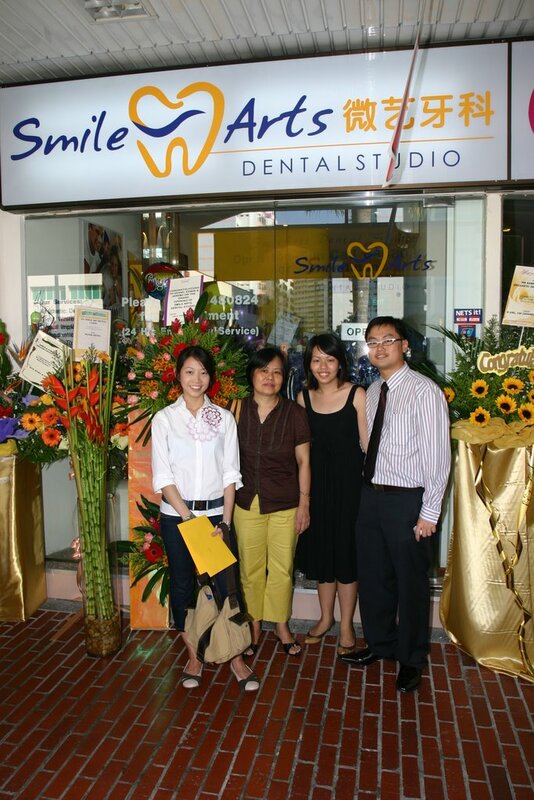 1st July 2006, was the official Grand Opening Ceremony for Smile Arts Dental Studio. We (Mon, KK & myself) went down to his clinic and joined in the fun and gathering. 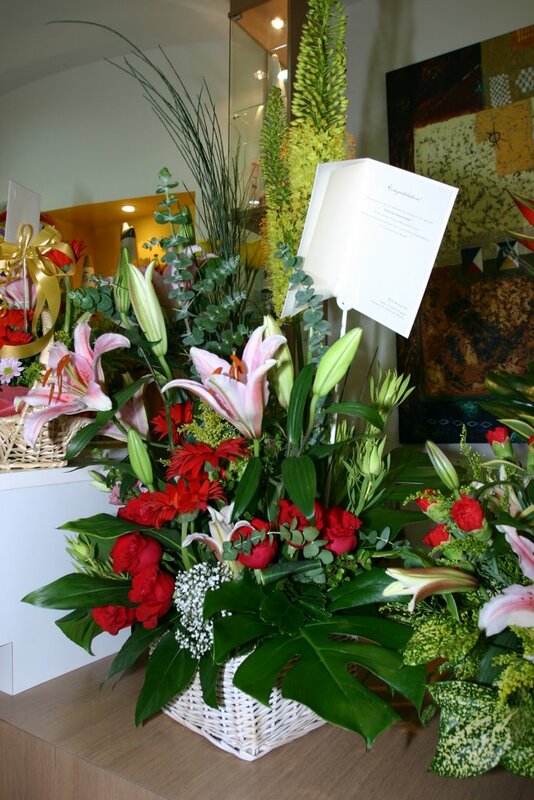 Our other bunch of old mates send their regards with our flower arrangement and best wishes card (by Mon from Tink Cards). 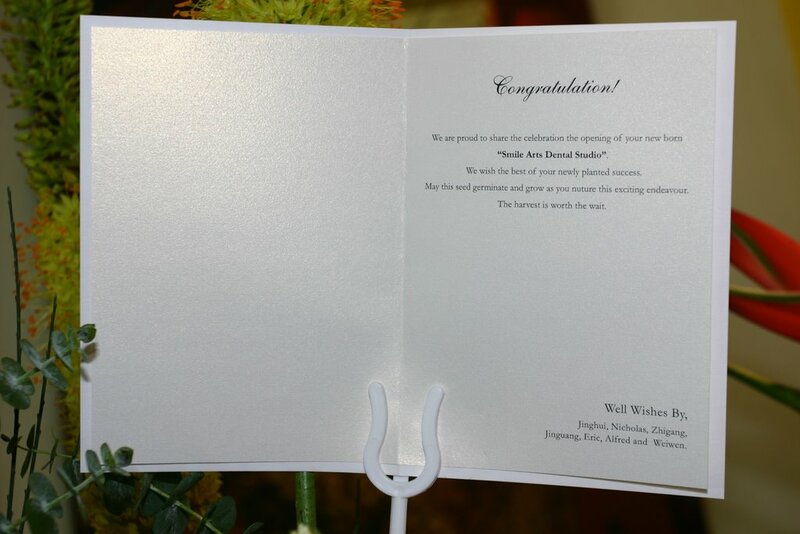 Best Wishes Card – Prepared by Mon, Tink Cards ! 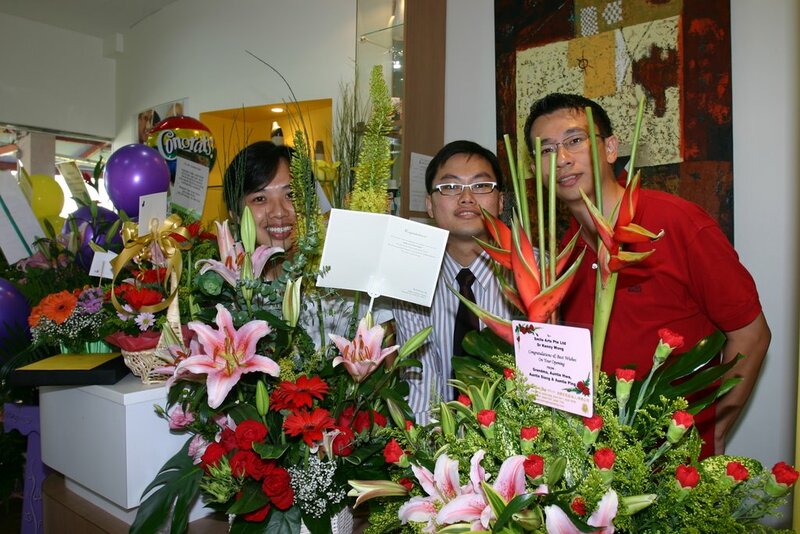 It was a family carnival atmosphere equiped with a “flower boutique opening” (the number of flower arrangements were awesome, many different types and sizes). I prepared a photo album of their “models” (album selected was from Gloryworkz and recommended by Mon), tested and printed out postcards prototype that consists of their company icon and a picture collage of their “models”. 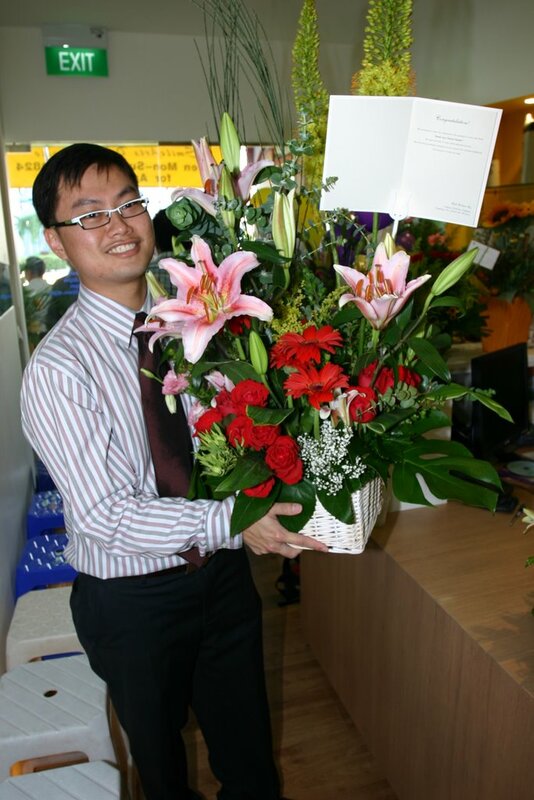 It was from a moment of trial and error and printer testing that the postcards came about, probably we might see further changes to it and Smile Arts Dental Studio could be it to use in their business empire.